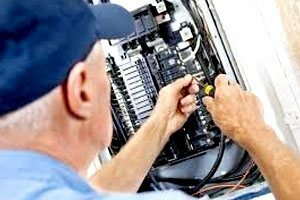 If there is an obvious problem with your electrical panel, our experts have the time and expertise to assess the issue and fix it quickly. The older your electrical system, the more likely you are to need a thorough inspection and potential upgrade. We’ll help your electrical system keep up with modern demands for electricity. Flickering lights and frequent breaker trips are signs that your home is in need of an electrical inspection. Inefficiencies in an electrical panel could put your home at risk of fire. This is why it's important to take immediate action if you suspect that your circuits are overloaded or that other problems are impacting the safe operation of your electrical panel. Gravity is a preferred provider for comprehensive electrical panel inspections and timely Calgary panel upgrades. At Gravity Electrical, we take pride in helping local homeowners assess the deficiencies in their electrical systems so that their assets are always protected. This includes applying our expertise for dependable Calgary panel upgrades and detailed panel inspections. Our Calgary electrician company has the training and the expertise to handle every situation. We accept cash, cheque, Visa, American Express, and Mastercard. Q: How much will my services cost? For the most accurate price quote, we offer free in-home consultations and assessments to determine your exact electrical problem. Most phone quotes are subject to change based on the extent of the electrical job required. We diagnose problems on-site free of charge so you will not experience any surprises. Q: Will I have to wait around all day until the work is completed? No, we understand that you are busy and your time is valuable. We provide you with a time window so you will know when we are expected to arrive and complete the work required. We notify you in advance so you know that we are on the way. We work around the clock to provide you with service you can rely on. Q: Do you offer warranty? Yes! All of our electrical services are covered for 1-3 years depending on the type of work completed. Our warranty includes all parts and labour (unless otherwise stated). Q: What electrical services do you offer? 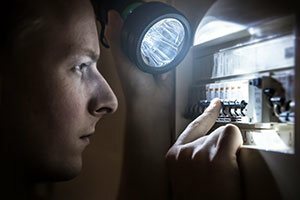 We offer both residential and commercial electrician services and we can work on any electrical repair or maintenance work in your home or business. We cover small to large size projects and projects of any difficulty. 3 months ago-We were very satisfied with Gravity Electrical staff and services. Pelumi provided a timely and affordable quote for aluminum wiring remediation. Marcos, the electrician, was very diligent and paid attention to detail to insure we had a safe and professional result. He was also very polite and willing to answer all our questions. Well done! My store had Pelumi, I believe he was beyond professional, fast, and Efficient at getting the requested fixed. I am also in my third trimester of my pregnancy and can’t climb ladders anymore and he was sweet enough to change a burnt out light in our front window for us. I will highly recommend gravity electrical to al my connections and continue to do business with them. 6 months ago-Appointment was made in a timely manner. Arrived on time. Very pleased with the results. Technician was friendly and answered all of the questions I had. Would recommend to friends and family. 4 months ago-Pelumi, Carlos and Matt completed a challenging project to install a video surveillance system for my home. They take pride in their work and make sure you're happy from start to finish. 3 weeks ago-Tech was prompt and communicative. Excellent service, and resolved the issue within minutes. SUPER happy with Gravity Electrical!! 1. Pelumi responded to my email inquiries very quickly. 2. Showed up on time for both appointments (and confirmed with an email first!). 3. Completed the work efficiently. 4. Great pricing. Would definitely use them again and am happy to recommend them. I used Gravity Electrical for a renovation last year. We built a beautiful conference room at my business, GPS Police. Gravity designed and installed awesome dimmable LED flush mount ceiling lights and lots of communications wiring. Great work, on time, respectful and honest. Will continue to use them. I recommend them highly. SUPER happy with Gravity Electrical!! Responded to my inquiries very quickly, showed up on time for both appointments and completed the work efficiently. Would definitely use them again. Pelumi and his crew worked for Liberty Security and were able to provide conduit and cabling running as well as device installation for a large Access Control System in a 3 Building Condo Complex. We will continue to use their services in the future as our level of satisfaction was extremely high both in quality and time management. Well Done !!!!!!!!! Calgary panel upgrades are one of the most common service requests for older buildings. You may need these services if you've purchased an older home that is in need of thorough inspection or if you have any concerns about the efficiency and safety of your electrical panel. The professionals at Gravity have the expertise needed to understand the complexities of electrical panels and to deliver in-depth inspections and efficient upgrades. That's why so many Calgary residents consider us the most trustworthy Calgary electrician company for all of their electrical needs. Customer satisfaction is our top priority, so expect us to show up on time and to deliver fast, friendly service. We follow established safety guidelines to ensure that our customers are fully protected for new home wiring and other electrical services. Our electrical contractor services are backed by an adequate insurance policy and legal credentials that Calgary homeowners trust. The small details make the difference between an exceptional job and a dangerous job. Count on us to do it right the first time. Don't worry about adjusting your busy schedule to accommodate us. We remain flexible so that you can fully enjoy your life. When in need of a trustworthy electrician, Calgary residents know that they can lean on Gravity. As one of the leading electrical companies in Calgary, we work around the clock to ensure that our customers' needs are met, including those emergencies that strike at inconvenient times. If you would like to book a free consultation and get your project started, contact us at your earliest convenience.